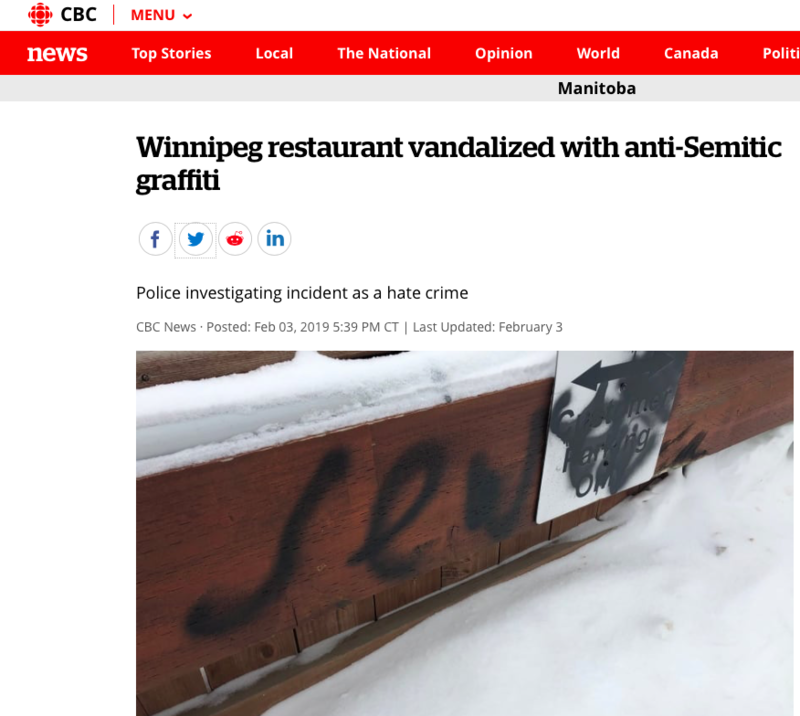 Good to see that the Winnipeg Free Press and CBCNews gave prominent coverage to a recent incident of antisemitic vandalism at a restaurant run by an observant Jewish family. Police are probing the antisemitic graffiti as a hate crime. For more information, see the following news reports from CBC News and the Winnipeg Free Press.